The SmartTAG system needs no introduction here in Malaysia. We’ve been using it for a while now as a quick and easy way to get through tolls on the highway without moving too much muscles. All we needed to do was make sure the little card inside had enough credit to get us through. For all the advantages the SmartTAG gave us, there are also a few disadvantages that can potentially ruin our mood for a bit. Running out of money is the biggest one, of course, but there’s also the issue of safety when approaching the toll, or even how sometimes you could accidentally pay for the driver in front of you by being too close. Yikes! 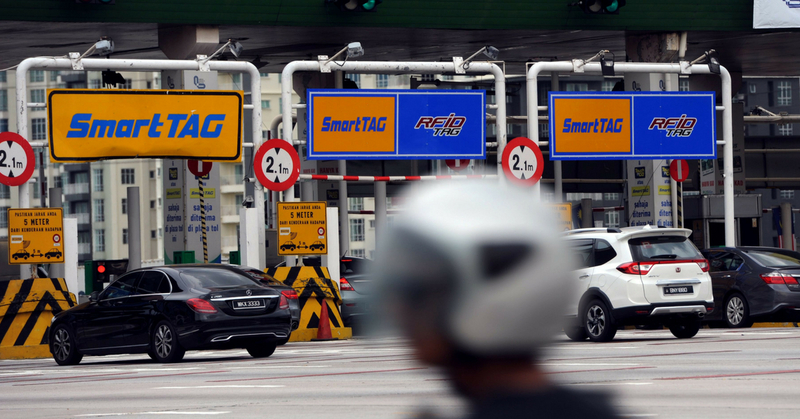 So imagine our delight when we heard that SmartTAG is going to be replaced by an RFID-based system! Before we continue, allow us a bit of techno-babble to give you a short summary of what RFID actually is. Radio-frequency identification or RFID is a way to record the presence of objects using radio signals. You can think of it as a way to read barcodes from a distance. The system detects an RFID tag, which can be applied to or incorporated into an object, a person, or an animal. This can let someone remotely identify and track the object/person/animal via radio waves. Some of the most common use for RFID include tracking parcels in the transport industry, tracking endangered animals in the wild, tracking pets, as part of modern passports, tagging clothing, and of course, to track vehicles on the roads. This tech is already being used in other countries around the world such as the US. The best part about the technology is that unlike SmartTAG, it does not require line-of-sight with the receiver for it to work. So there’ll be no more awkward shuffling and searching in your car for that device as you approach the toll booth. Instead, the toll booth can tell that it’s your car and how much money you have before letting you through the toll, nice and easy. Touch ‘n’ Go have stopped the sale of new SmartTAGs, with plans to roll out RFID-based tech in September this year. This roll out is currently being called a ‘pilot phase’ and will involve testing the system and making refinements as needed. This does not mean SmartTAGs are all going to disappear. Drivers who use them can continue to do so, along with Touch ‘n’ Go and MyKad for toll payments. Anyone interested in taking part in the RFID movement as a pilot user can do so right here. Once you register, you will be informed via email to register their details and to make appointments to install RFID through the appointment system in the Touch ‘n’ Go RFID Portal. The Portal will become available from the 3rd of September. This is a move that will slowly but surely change the way we interact with our highways so it will be interesting to see how it plays out. So what do you think, dear reader? Are you interested in moving past SmartTAG? Or do you find RFID to be too much of a privacy or safety concern?